Research Grants – One-Year Grants are awarded to highly qualified candidates who have completed a Master's degree or Diploma, or in exceptional cases a Bachelor's degree at the latest by the time they begin their grant supported research. Applications are accepted once per year, usually in November . Foreign nationals who live in the US/Canada by the time of application deadline must have gained their last degree in the US/Canada or will be gaining it before the beginning of their funding period. Applicants should have completed their last degree no longer than 6 years before the application deadline. Which requirements must be met at the time of the application deadline? Payment of course fees for the online language course "Deutsch-Uni Online (DUO)" (www.deutsch-uni.com) for six months after receipt of the Scholarship Award Letter. A very limited number of scholarship recipients may be awarded an additional two-month intensive language course grant. This is decided on a case-by-case basis by the independent selection committee and does not require a separate application. Allowance for a personally chosen German language course during the grant period. Reimbursement of the fees for the TestDaF test taken either in the home country after receipt of the Scholarship Award Letter or in Germany before the end of the funding period. If you take a DSH or GI (Goethe Institute) examination during the scholarship period, the fee may be reimbursed. DAAD scholarship recipients are not permitted to receive supplementary funding through any other German funding body. Supplementary funding from a non-German funding body may in some cases be permitted. However, they would then be treated as additional earnings, i.e. grants exceeding the tax-free income level in Germany (currently EUR 450 per month) would be deducted from the DAAD scholarship, unless the additional grant payments are put on hold for the duration of your DAAD scholarship. Please note that we can only offer funding for the following periods, no exceptions. The funding period begins October 1st, 2019. Research grants may range from 7 to 10 months in length. Earlier start dates are not possible. The application takes place online through the DAAD portal. Your reference must be sent by post to the DAAD New York office. Please use this checklist to ensure you submit a complete application. These guidelines are region specific for North American applicants only. 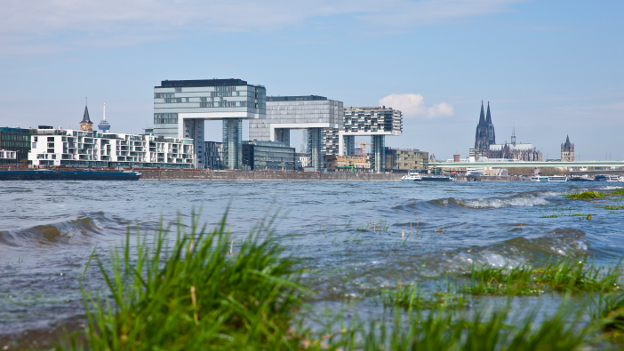 You will find some different details on the application portal and the DAAD Bonn website, such as maximum pages; the instructions on this checklist supersede any conflicting information potentially found elsewhere. Certificates, proof of credits, certifications and translations may be scanned in non-certified form and uploaded to the DAAD portal. Check out the Manual for Personal Funding. 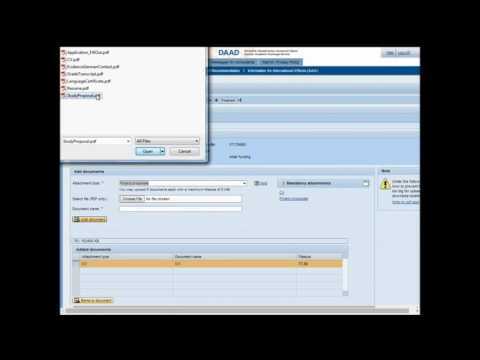 On this site, you can download manuals to assist with the personal funding section of the DAAD Portal. If you have questions regarding the DAAD Long-Term Research Grants, please contact kim(at)daad.org. (Kindly understand that questions already answered by information on our website cannot be answered separately).